Nairobi, Kenya & Dar-es-Salaam, Tanzania, 9-13 April 2018 – The European Union has been partnering with the International Treaty’s Benefit-sharing Fund to support farmers in Africa and elsewhere cope with the impact of climate change through special seed projects under a program called, “Leading the Field for Food Security & Climate Change Adaptation.” Between 9 and 13 April 2018, a representative of the European Union, Juan Manuel Velasco, and FAO’s International Treaty Secretary, Kent Nnadozie, undertook field visits to Kenya and Tanzania to meet those most directly impacted by these projects – farmers. The project sites and genebanks the visiting delegation saw in Kenya and in Tanzania are part of multi-country projects supported by EU funds through the Benefit-sharing Fund (BSF). Funds provided by the EU account for about 50% of the slightly over USD 10 million total funds available for the Third Cycle of BSF projects. The EU support to the International Treaty’s BSF provides the majority of the funding for 13 of the 22 projects being implemented under the 3rd BSF project cycle. Over the course of one week, the visitors met farmers, national genebank managers and other partner organizations directly involved in the execution of the BSF projects and visited sites in Nyando and Kiboko, Kenya, and also meet with stakeholders in Dar-es-Salaam, Tanzania. 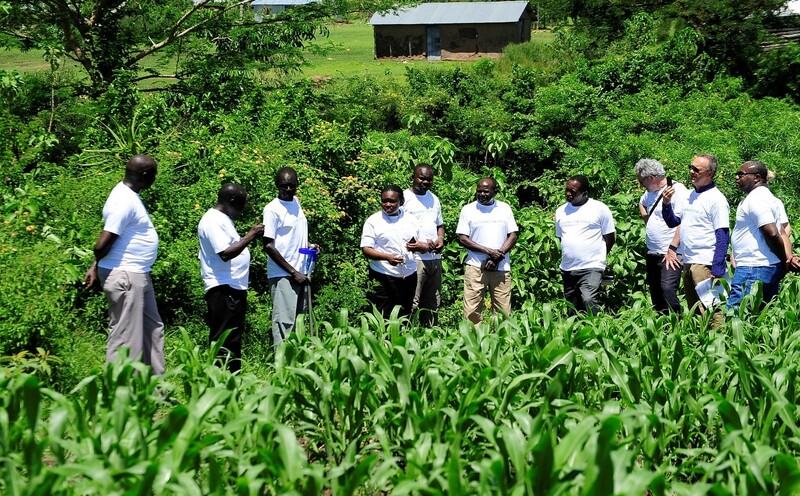 For example, in Nyando, the visiting delegation met with more than 150 local farmers and had the opportunity to see how the improved varieties of sorghum, millet and beans provided through the BSF project have positively impacted the livelihoods of local communities – in terms of increased resilience and pest control, increase in yields and dietary diversification. Similarly, farmers participating in the cassava project, both in Kenya and Tanzania, who have received improved/clean cassava material, reported that they now have more predictable yields and are better able to control the spread of plant diseases. In addition, the training received in packaging and value addition of cassava has helped them sell not only tubers but also flowers, for which there is market demand. Several farmers reported that their net income has increased tenfold, from USD 100/acre to USD 1000/acre as a result of cultivating new cassava varieties, with overall reported benefits on the livelihoods of the households participating in the BSF project. The projects are still ongoing, with final results expected over time. Speaking at a Press Conference in Dar-es-Salaam towards the end of the trip, Secretary Nnadozie expressed particular appreciation for small farmers, who are the most vulnerable to climate and environmental changes and whose contribution, he pointed out, is critical for the development and maintenance of crop varieties. The seed material grown and developed through Benefit-sharing Fund projects feeds back into the Multilateral System of Access and Benefit-sharing so that the global community can share knowledge, access material and learn from one another. The International Treaty helps connect local communities to the larger global community. “This seed material is valuable, not only for local farmers in Kenya and Tanzania, but for all farmers and breeders everywhere in the world,” said Secretary Nnadozie. 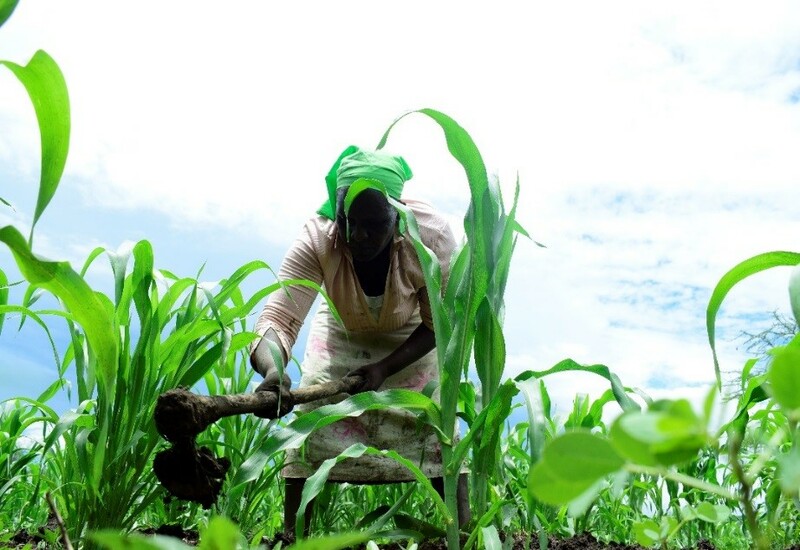 All crop varieties used in projects sponsored by the Benefit-sharing Fund are also part of the International Treaty’s Multilateral System of Access and Benefit-sharing. “The European Union is very pleased that unique varieties identified through these BSF projects are available to the larger global community through the International Treaty’s Multilateral System,” said Mr Velasco. “We are pleased to partner with the International Treaty for the benefit of all,” he added. All countries are interdependent when it comes to food. In order to survive and thrive, we must work together and share the benefits of the bounty of agricultural diversity in the world. The International Treaty has a Multilateral System, which includes a global genepool of over 2.3 million crop seeds and samples of vital plant genetic material for food and security that are accessible to all 144 Contracting Parties. 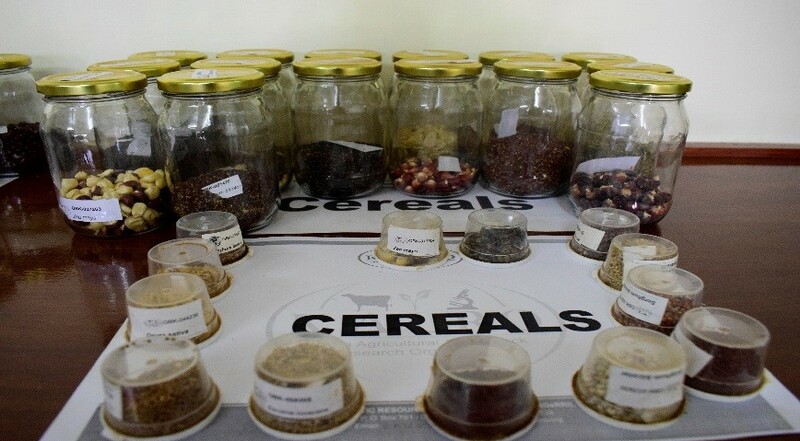 To date, the International Treaty’s Multilateral System has facilitated the exchange of over 4 million seed samples and essential information about this material at an average rate of 1000 transfers per day. Through the Multilateral System of Access and Benefit-sharing, farmers, plant breeders and scientists around the world can exchange vital information and material for breeding the crops they need. And through the Benefit-sharing Fund, farmers in different countries can share seeds and know-how that they need in their local communities. The Benefit-sharing Fund has already helped benefit almost 1 million people through 61 projects in 55 countries over the last 9 years.